Roaming around your streets made me feel like I found my second home. Granted my friends and I looped around the same piazza 2-3 times before realizing we were lost, we were simply engulfed by your beauty. Hungry, we walked near a sea of chatty painters sitting on foldable wooden chairs and easels looking for a place to eat. They were old Italian men painting watercolors and talking passionately about God knows what. I don’t know Italian, so how should I know? One of them kindly pointed at a small restaurant a few meters away. Twelve euros for lunch? We were sold! For 12 euros each, we had a fresh caprese salad and an entree of choice. I had by far the best artichoke bolegnese I had ever had at that restaurant. The sausage, artichokes, tomatoes, red wine, garlic, basil, and of course, the fresh pasta-incredible! Between the art, architecture, food, people and views, there’s one thing that I will always remember. An old carousel lit up in the middle of Piazza della Repubblica illuminating the dark street as we walked back to our hotel. For a moment, I felt like a kid again. Standing there amazed by the wooden horses going round and round, I smiled softly. I was home. 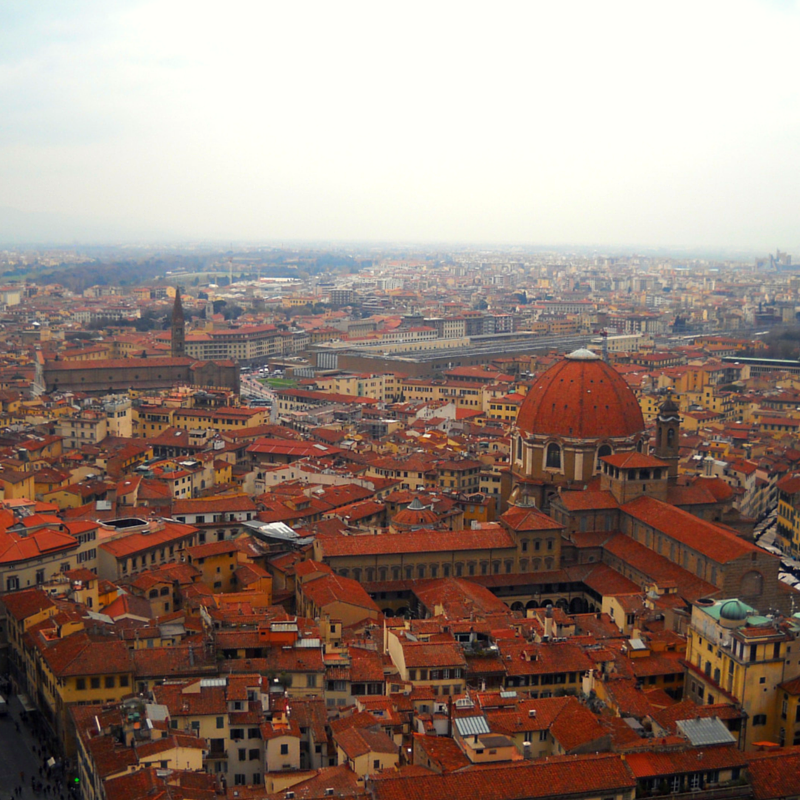 Florence, wait for me. I’ll be back. Just wait. Why do I still cook? I started cooking when I around 7 years old (I think I mentioned that before somewhere). My grandmother was visiting and wanted to teach me how to chop vegetables for the dish she was preparing. After a while my parents would let us stand on a stool and let us mix whatever they were making. My dad was and still is pretty meticulous about how to do certain things so we had to listen or else we couldn’t keep stirring the pot. Tasting was fun too. I was a chubby little Asian girl with the plump cheeks and the infamous bowl cut, probably tasting way more than I needed to. When I smiled, my eyes disappeared (ok they still do). Back then I started cooking to help around the house. Whatever I was cooking was my contribution. I hated washing dishes so it was a good exchange. During high school and university I didn’t get to cook or bake as much, only on holidays and summers when I didn’t have a course to take. And frankly, cooking can be such a chore sometimes. I know I’m not supposed to say that being a food blogger but it can be chore. I’m just being honest! Why do you think we write reviews on restaurants too? But sometimes I just really need to cook. The past couple of weeks have been tough. Job hunting as a recent graduate in liberal arts is tough. There are transferrable skills that can translate very well in multiple fields but there’s always a qualification you might not have. How are we supposed to gain work experience when you won’t give us a chance? Just a thought. Waiting for replies started to get me frustrated so I cooked. I still cook because it keeps me calm. It helps me realize that there are some things in the world we cannot control. I can’t make my over heat up faster. I have to wait until it’s done preheating. I’m waiting on empanadas to cool down right now because if I didn’t I would burn myself. I still cook because it keeps me hopeful. 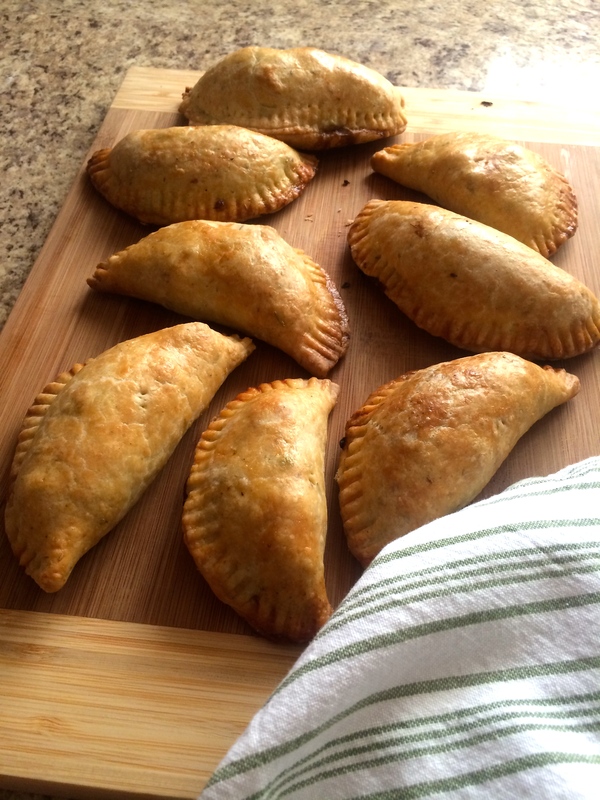 I know when those empanadas are ready to eat, they will have a crispy crust and a rich braised pork filling. I still cook because it’s incredible to see someone enjoying something you made. That first bite followed by another and another until silence around the table hits. Cooking restores my positivity. I still cook because it makes me happy.